In a world premiere, visitors will see next month in Warminster, Pennsylvania an all new hydrogen (H2) refuelling system. 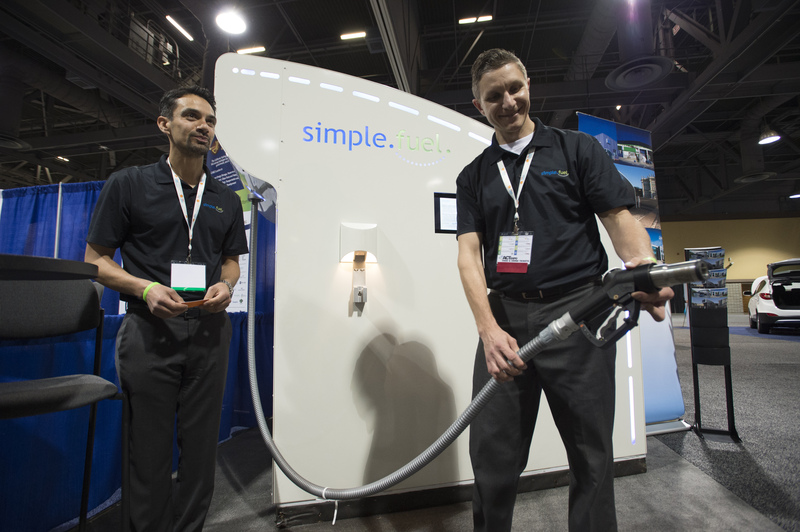 The SimpleFuel system, which has been designed and constructed by SimpleFuel team members (McPhy Energy North America, PDC Machines and Ivys Energy Solutions) has been selected for the $1m H2 Refuel H-Prize competition launched by the US Department of Energy (DOE) in February. The team has designed an integrated H2 generation, compression, storage and dispensing appliance – capable of delivering 5kg per day of H2 to vehicles at pressures of up to 700 bar. The small-scale system was designed as an additional pathway for expanding the H2 dispensing and delivery infrastructure for fuel cell electric vehicles (FCEVs) across the country.